This solo relaxed performance will provide a welcoming and judgment-free environment for people of all abilities who want to enjoy a live performance. 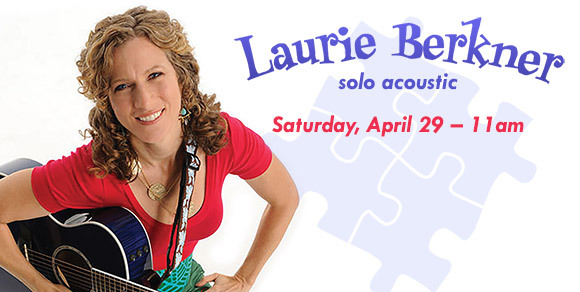 Recognized as “the queen of children’s music," Princeton native Laurie Berkner has been a longtime fixture of children’s TV shows, starting with Noggin (now Nick Jr.) and Jack’s Big Music Show and currently to Sing it, Laurie! on the Sprout channel. Tickets are available by calling McCarter’s Ticket Office at 609.258.2787, visiting us in person at 91 University Place in Princeton, or online with promo code RELAXED. WHAT IS A “RELAXED PERFORMANCE”? 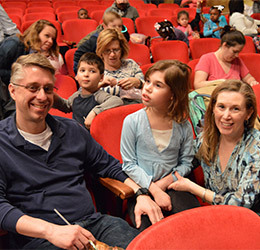 Relaxed performances (RPs) are specially-adjusted sensory-friendly shows designed to create a welcoming theatre experience for individuals with a wide range of sensory, learning, and communication differences, and their families and friends. In addition to people on the autism spectrum, those with other neurological differences (ADAD, social anxiety, OCD, and agoraphobia), can and have been served by these relaxed performances. McCarter Theatre Center is proud to be among a cohort of six professional theatres in our area awarded an Audience (R)Evolution Cohort Grant from the national organization for theatre, Theatre Communications Group (TCG). Supported by the Doris Duke Charitable Foundation, TCG’s Cohort Grants empower teams of not-for-profit organizations to strategize and implement audience engagement and community development initiatives together. Over the next two years McCarter will work with the cohort to address accessibility and inclusivity needs. 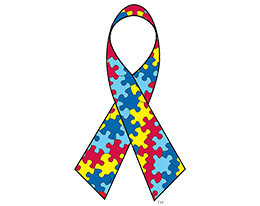 During the month of April, The Autism Society celebrates National Autism Awareness Month in their nationwide effort to promote autism awareness, inclusion, and self-determination for all, and assure that each person with Autism Spectrum Disorder (ASD) is provided the opportunity to achieve the highest possible quality of life. McCarter is proud to celebrate this April with a special Relaxed Performance and continue to make live performance more accessible and inclusive. 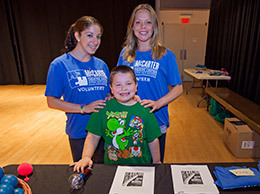 McCarter Theatre Center is a participant in the Audience (R)Evolution Cohort Grants program, funded by the Doris Duke Charitable Foundation and administered by Theatre Communications Group, the national organization for the professional not-for-profit American theatre.